Police have released a CCTV image of a man they want to speak to following reports of the assault. The victim had been on a night out in Ma Kelly's, on London Street, at 1.50am on February 10 when she was approached by a man to her before touching her inappropriately down her top, police said. 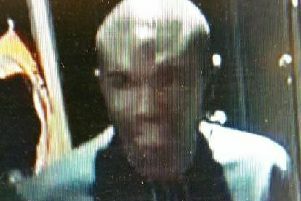 The man is described as black with a shaven head and a strong African accent. Anybody with information is asked to contact police on 101, quoting log number 147 of February 10.